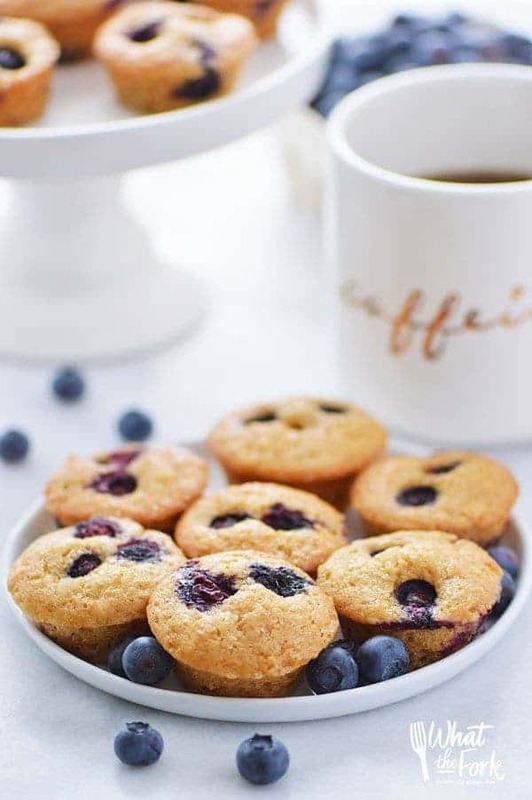 These Gluten Free Mini Blueberry Muffins make a great breakfast or snack. They’re simple, easy to make, and can be on the table in less than 30 minutes! 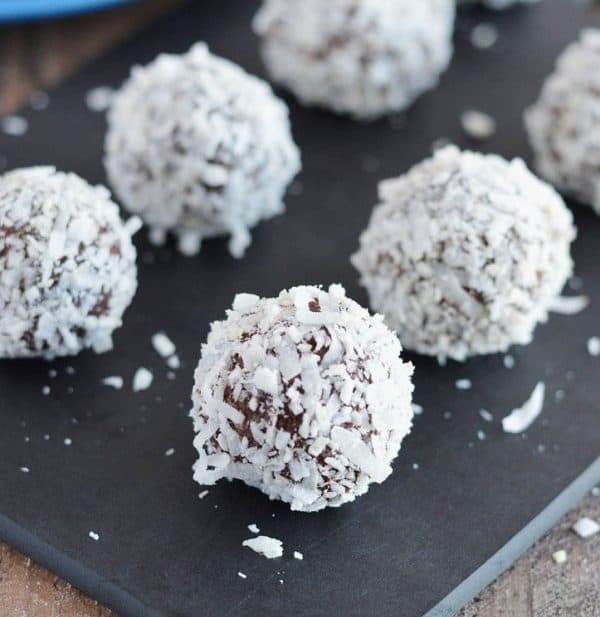 Watch the recipe video below to see how easy it is to make these! You can also watch the video on Facebook where you can easily share it. We gave Kelsey this Disney Princess Cookbook last year for her birthday and one of our favorite things to make from it are the mini blueberry muffins. Though we make this gluten free and dairy free version instead. 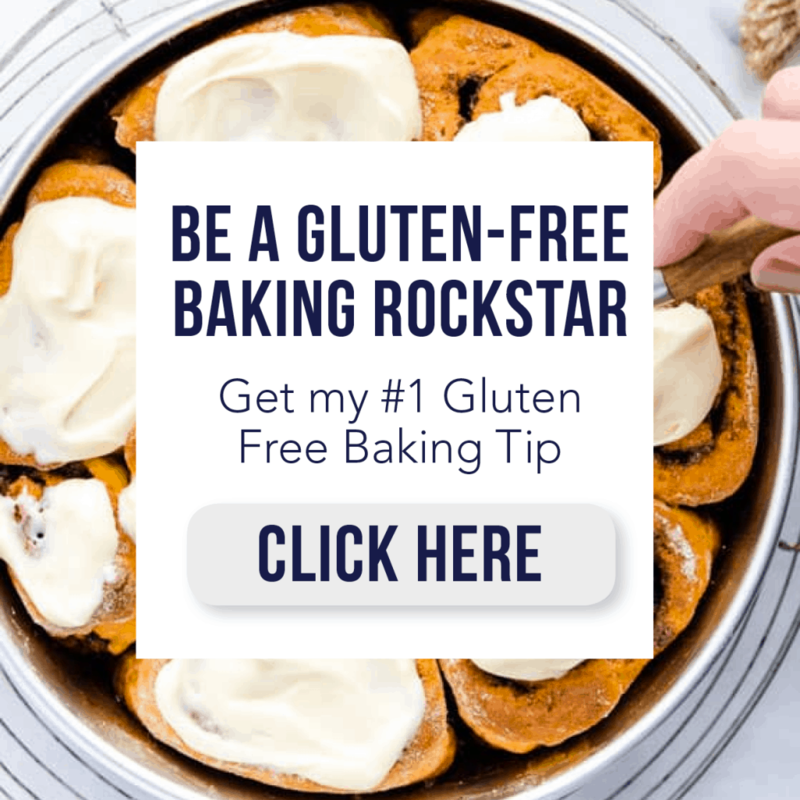 We haven’t made a ton of recipes from the book but the few we have converted to be gluten free have been good, which is a pleasant surprise because you never know what to expect for recipes that come from a “Disney Princess Cookbook” haha. And if you are wondering, we did buy the knife set that is recommended with the cookbook in Amazon’s “Frequently Bought Together” suggestions. Both my girls have gotten a lot of use out of them – they’re perfect for cutting soft fruits and veggies like strawberries, melon, tomatoes, and cucumber. 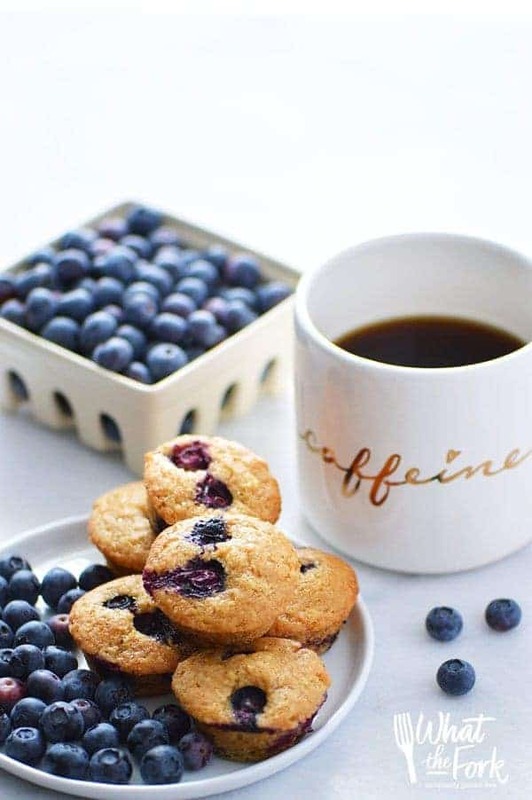 I’ve included mixing instructions for using either fresh or frozen blueberries for this gluten free blueberry muffin recipe. 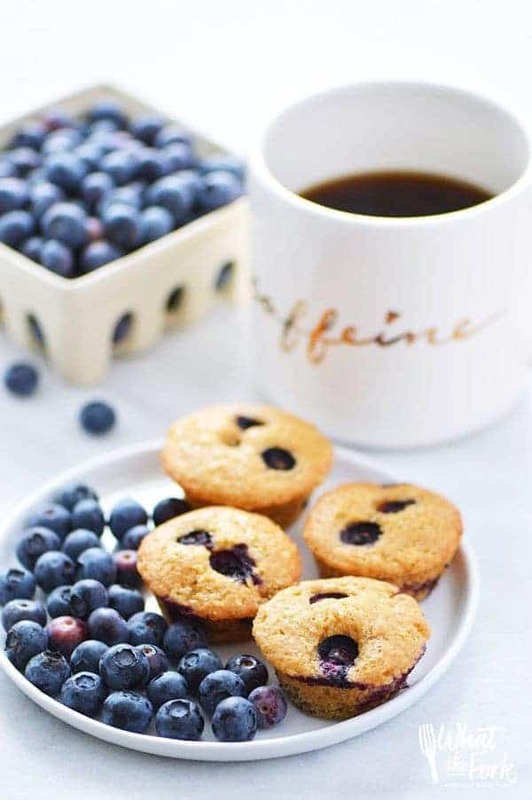 Sometimes, especially during the winter, it’s hard to bake with anything but frozen blueberries. Luckily, they have been on sale lately so we’ve been getting our fill until we’re able to pick our own again this summer ???? 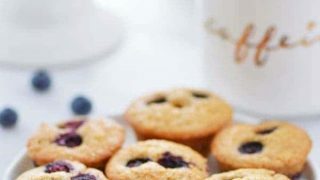 Gluten free blueberry mini muffins are one of my girls’ favorite weekday breakfasts. We’re always short on time in the morning so grab-and-go breakfasts are how we roll. This recipe like this is perfect for days like these. 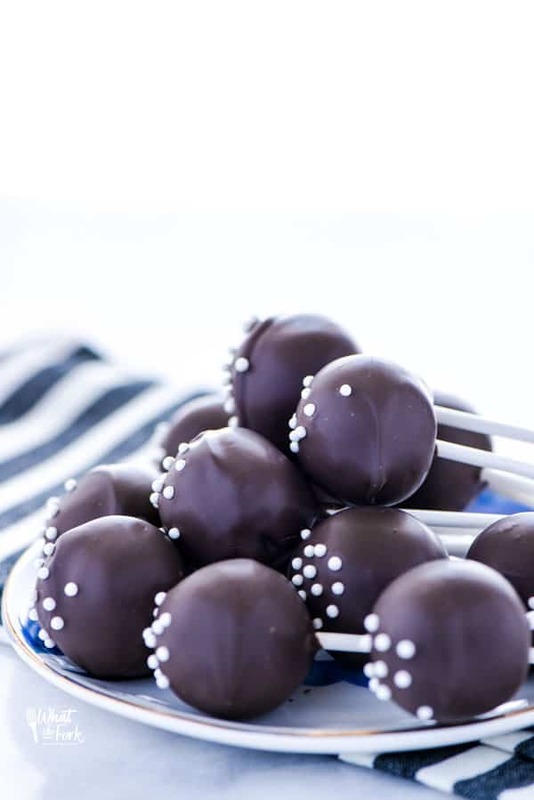 I can quickly make a batch of these the night before and they’re ready for us in the morning. If you’re looking for other gluten free muffin options, I’ve got the most amazing recipe for bakery-style blueberry crumb muffins that I posted quite a while ago. We still LOVE those muffins but they’re a little bit more work than these. Those muffins would be great for Easter brunch! My blueberry almond muffins would also be great too! And if you need a great grain free recipe, my grain free blueberry muffins would be perfect for you! Also, I had no idea I had so many gluten free blueberry muffin recipes on my blog until now. Enjoy! PS these freeze really well! 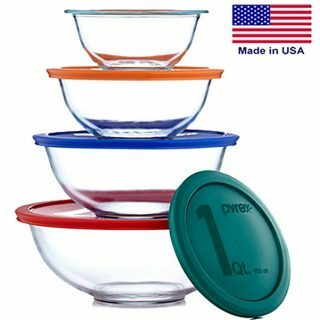 Preheat oven to 375 degrees and line a 24-cup mini muffin pan with paper liners or spray with non-stick spray. In a medium bowl, whisk together the egg, milk, avocado oil, and vanilla extract. Divide the batter evenly among the 24 mini muffin cups and bake at 375 degrees for 12 minutes or until done in the center. Cool in the pan for 3-5 minutes before serving. Serve hot or room temperature. Leftover muffins can be frozen or stored in an air-tight container up to 2 days. I tested this recipe with Bob's Red Mill 1:1 Baking Flour with great results - just omit the xanthan gum this recipe calls for. I also tested it with my own Nightshade-Free Flour Blend with great results. Cute! They look super delicious!! Thanks for the suggestion of freezing them! I’m going to make a huge batch this weekend and have them as easy breakfasts for my boys during the weeks ahead. I truly believe there isn’t much better in the world than a fresh blueberry muffin! I love the mini size! 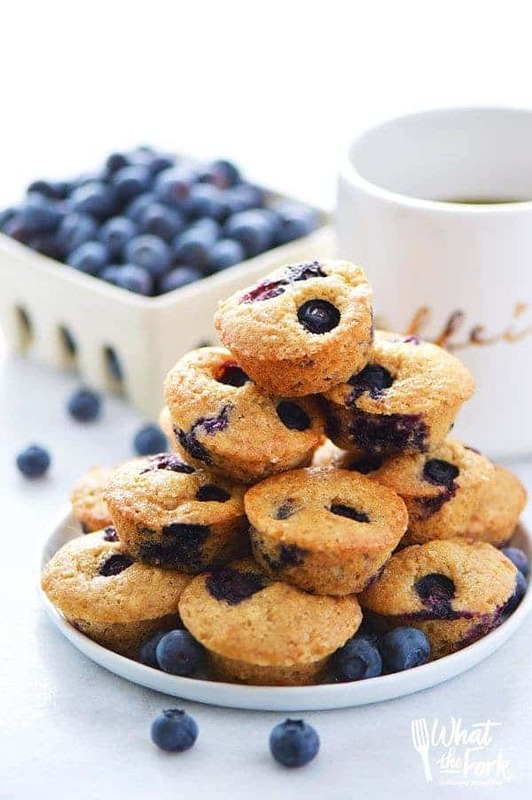 Blueberry muffins are such a comfort food! 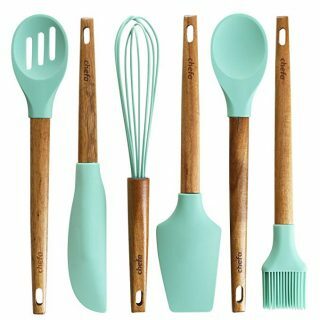 I just love that you involve your girls in the kitchen and that they’ve got their own knife set. I look forward to my daughter being old enough to really help and learn. 🙂 And these muffins just look DREAMY. Well done! Hi. When using the nightshade flour blend that you have posteddo I still need to add the extra xantham gum in this recipe? Thank you! mmmm…these are my kind of muffins!! They look fantastic!! I swear, the “frequently bought together” section gets me every time! I’m always about to checkout, then my eye wanders there and I think “wait, do I need that too? !” Yup. These are ADORABLE, btw. I want some! Right?! It’s like the best and worst thing ever ???? These look so yummy! We eat blueberries by the pintful at this house and I’m always looking for new ways to use them. I love keeping mini muffins in the freezer to pull out for lunches and snacks. I’ll have to make these next! Do these muffins really have 2000 calories in 4 of them or is that a typo?? Hi Karen – NO they don’t have 2000 calories! I’m using a new recipe plugin for this post which auto-populates the nutrition info. It seems like it’s not working correctly right now so I need to figure out the kinks and what went wrong. For now, if you need the nutrition info you can plug the ingredients into My Fitness Pal and get a more accurate nutrition reading. Sorry for the confusion! These look so good! I have been craving blueberry muffins lately. Now I know I need to make some. Those look so good. Great pictures! 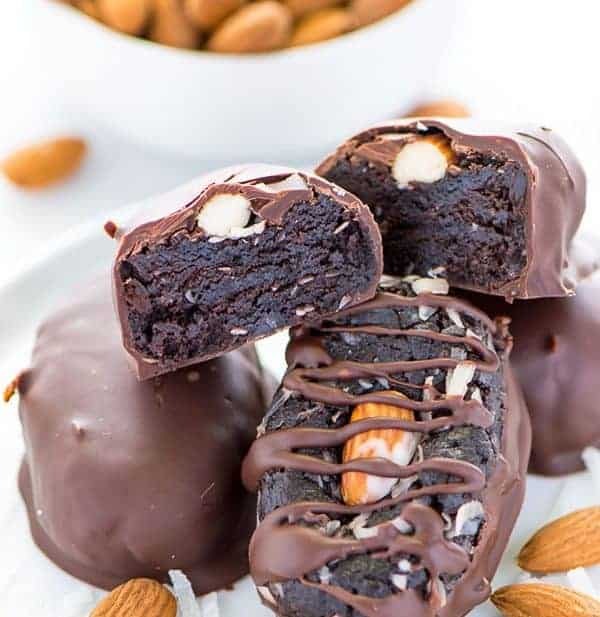 I just made these, substituting with the ingredients I have on hand (unsweetened ALMOND milk, and CANOLA oil and the Bob’s Red Mill 1:1 Baking Flour, and FROZEN blueberries) – I am VERY pleased – and will making many more times – including for Easter this year! Any tips on replacing the eggs? I was thinking egg replacer but wanted to ask. You can maybe try flax eggs or applesauce. I haven’t tried it so I can’t tell you for sure that it will be exactly the same. Can you use regular milk in this recipe?